In a large skillet, melt 2 tablespoons butter over medium heat. Add shallots, garlic, and ginger; cook stirring often, for 5 minutes. 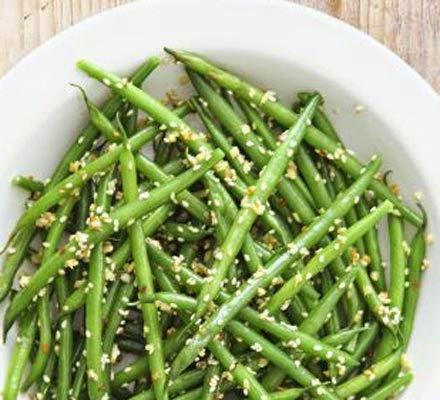 Stir in broth, lemon juice, and salt; and green beans and sesame seeds, and toss to coat. Cover and cook for 10 minutes or until green beans are tender. Reduce heat to low, and add remaining 2 tablespoons butter, stirring until butter melts.